Bring your bike, trike and helmet and get rolling! Hosted in partnership with Raleigh Police Department’s Southeast District community squad and local cycling advocacy group Oaks and Spokes. 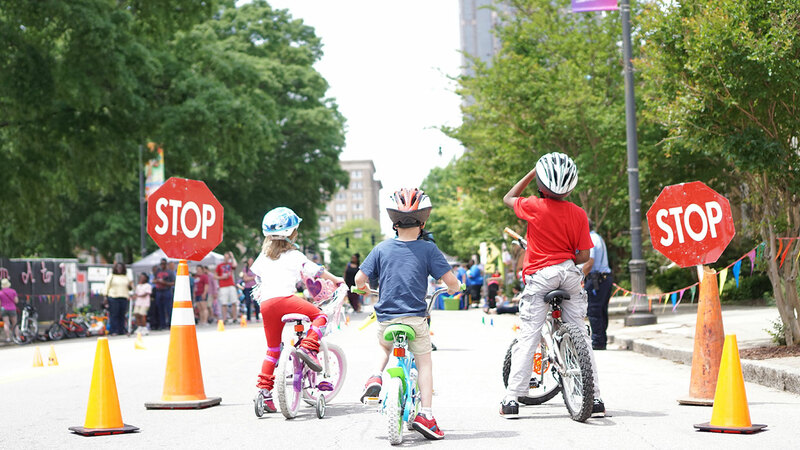 Swap It Out: Bring your outgrown bikes, helmets and other wheelie fun items to donate to another family or trade for something more your size! Hargett Street between Blount and Person Streets will be closed to vehicles from 8am to 3pm.